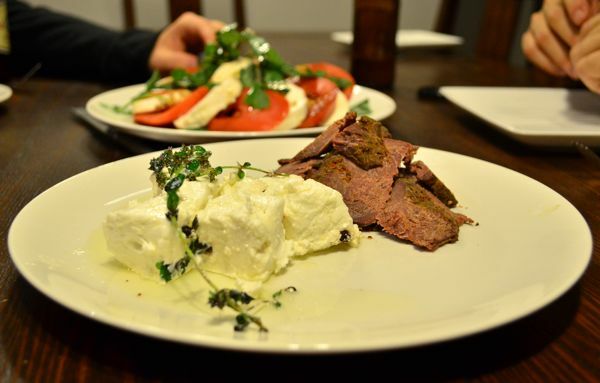 Kris: I have always thoroughly enjoyed the cheese from Yarra Valley Dairy . I found some of their amazing Persian fetta at the Queen Victoria Markets, as well as some smoked kangaroo. 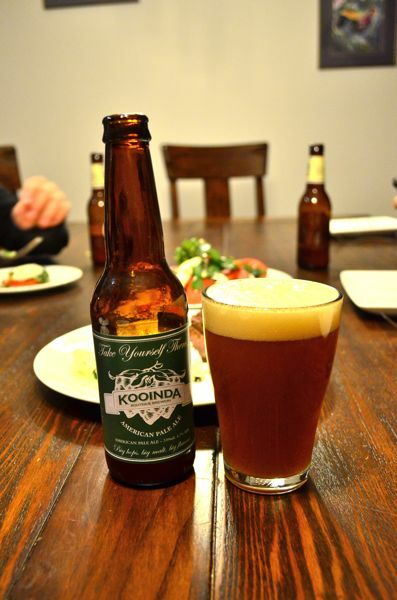 I also grabbed a Kooinda Pale Ale, a favourite Victorian beer of mine and one that I thought would go really well with the marinated cheese and the kangaroo. Kris: The smoked kangaroo, marinated fetta and Kooinda pale ale were a beautiful unity of flavours. The fruity/malty character and hop bitterness of the beer balanced the creaminess of the cheese and the smoky/sweet flavours of the kangaroo. A great entree to a bout of Jenga. Caroline: The Fetta and Roo were really just fuel to get us through the Jenga championship round. It’s very serious, as you can see. Caroline: As Jenga stakes rose, it was time to up the anti beer wise as well. 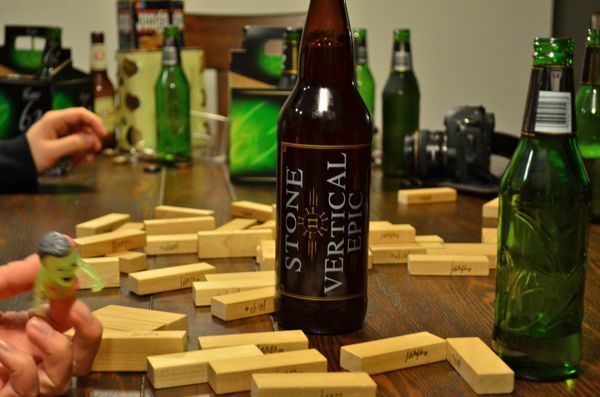 An epic game needs an epic beer, Stone Vertical Epic from San Diego 11-11-11 to be exact. Kris: I must say a massive thanks to Mike C for bringing this beer all the way back from San Diego to share with us all during our last visit to Melbourne. It truly was a treat. I did actually get to try last years release in 2010 whilst in the U.S., so it was great to be able to compare the two. It is a yearly release from one of the world’s greatest breweries and is definitely one for sharing with good friends. 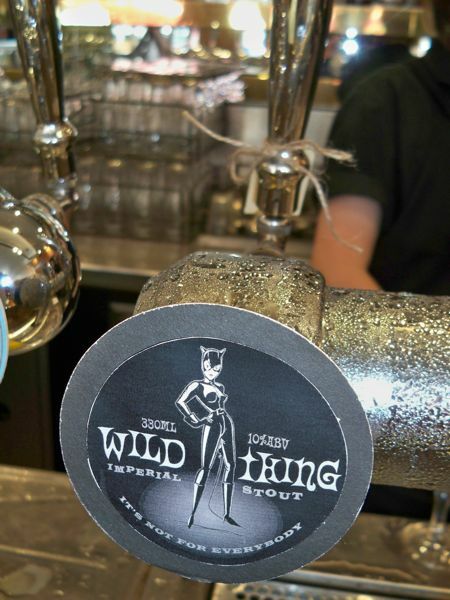 It is a 9.4 % Belgian Strong Pale Ale, brewed with a belgian yeast, a big mash up of hops and chili’s. I wish we had another couple to taste over the next couple of years. Sweet malt and yeast character matched with some piney/fruity hops and a nice touch of pepper/cinnamon and clove flavours. Caroline: The pressure was almost unbearable; palms sweating, hearts pounding, snacks diminishing, and beer warming. This round separated the amateurs from the pros, and as you can see, not everyone could handle it. Caroline: What? did someone say something? Kris: Yes. You’re very good at Jenga. Kris: You forgot I didn’t lose a round either! 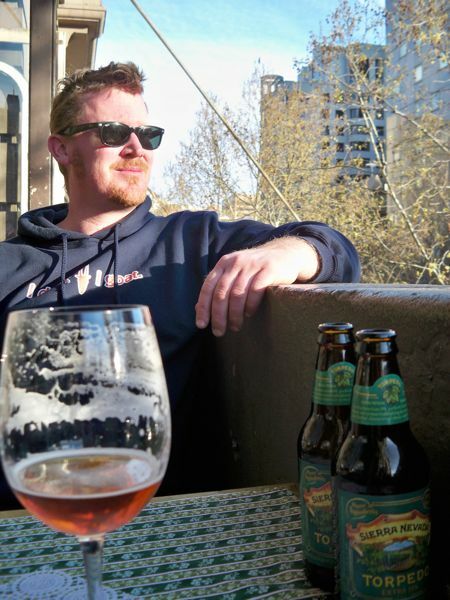 Kris : We took a trip to Melbourne recently to visit friends and catch up on some beers that we had been missing out on by living at the end of the earth (in Tasmania). 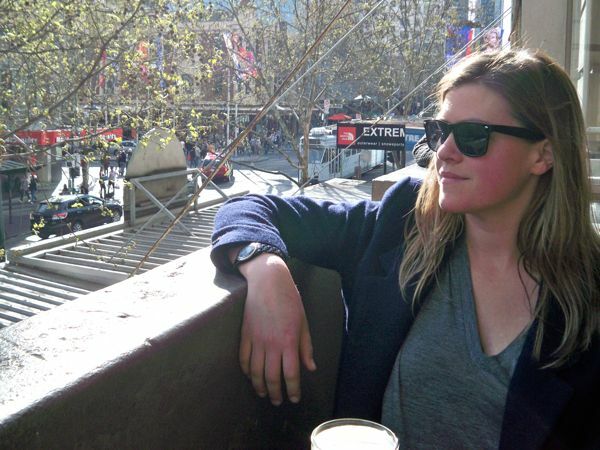 There is always something new and exciting happening, it’s really hard to keep up with the evolving Australian craft beer scene and new International releases. 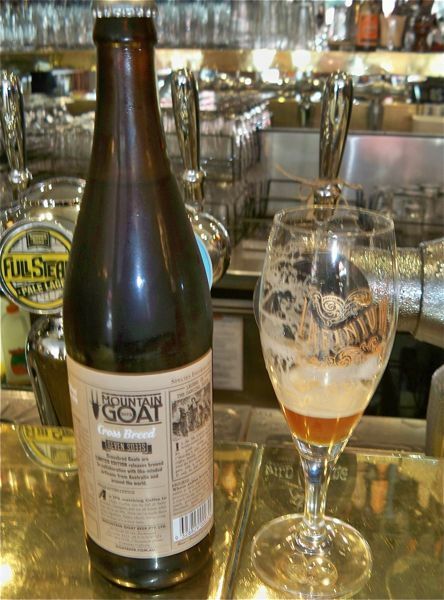 The first beers we tried were the new Mountain Goat Seven Seeds Coffee IPA and Mikkeler Coffee IPA at Beer Deluxe. I really like this new style. I was expecting more coffee character in these beers, but the beans were used more for subtle, roasty flavours and bitterness. 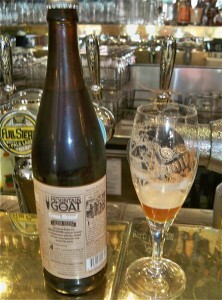 The Mountain Goat version had a bit more of a sweet malt backbone. They were both were great beers. 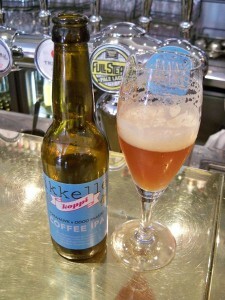 Kris: It started looking like IPA was the flavour of our visit to Melbourne. Not that I’m complaining, I love IPA’s! Caroline: Time for a learning adventure? IPA stands for India Pale Ale. This is significant because when India was still a British colony, the English would send over beer to the men stationed there from Britain. To survive the long boat ride they added extra hops to the mix as hops also act as preservatives. They also happened to like the taste and aroma of the added hops, so it stuck. Kris: I had been waiting in anticipation to sample Mornington Peninsula’s Double IPA for quite a while. It was a beast! Reminiscent of our trips to the U.S. Big malt matched with huge hop aroma and bitterness. 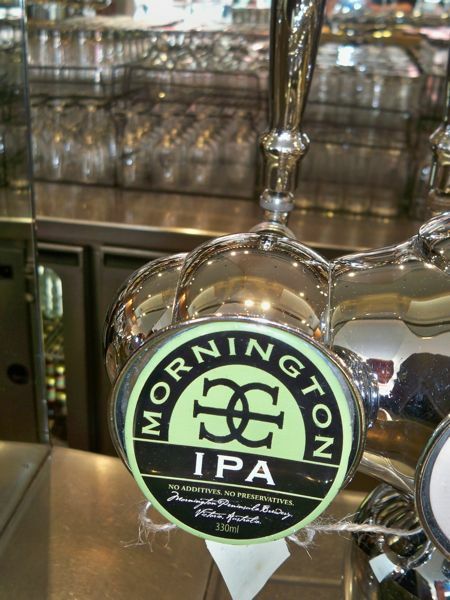 Other Australian IPAs I love are Murray’s Icon 2IPA, Bridge Road Galaxy IPA and Feral Hop Hog IPA. 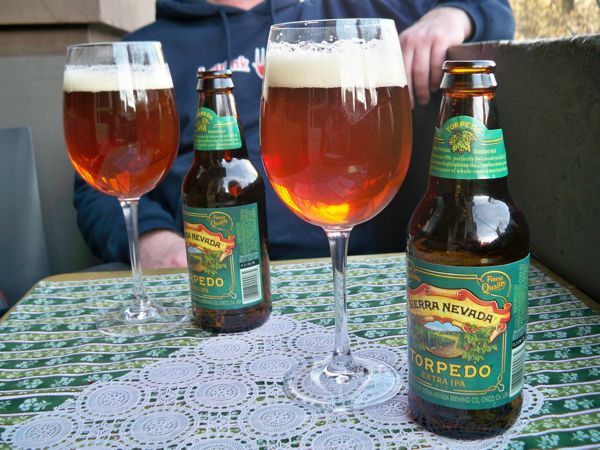 Caroline: I love Sierra Nevada Torpedo. It’s an American Style IPA that is super hoppy and citrusy. It is a great easy drinking summer beer that still has a lot of flavour and body. Sierra Nevada uses only whole-cone hops, meaning it uses no pellets or hop extracts. Read more about how it’s made here. Kris: Anytime is a good time for a Torpedo. Especially a warm afternoon on the balcony at Cookie. 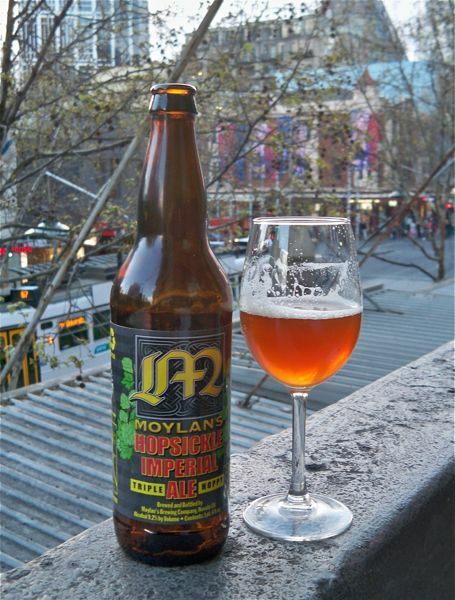 Kris: Thanks to Luke from Cookie for hooking us up with a Moylans Hopsicle Imperial IPA. WOW. Biscuit and caramel malt with a ridiculous amount of piney, citrus hop aromas and long lingering bitterness. Awesome. Caroline : Enjoyed the sunshine on the mini balcony. What a great day. Some of our other favorite bars that we didn’t make it to this trip are The Local Taphouse, Biero, The Great Northern, The Royston and the Terminus. If you are in Melbourne, you should check them out.